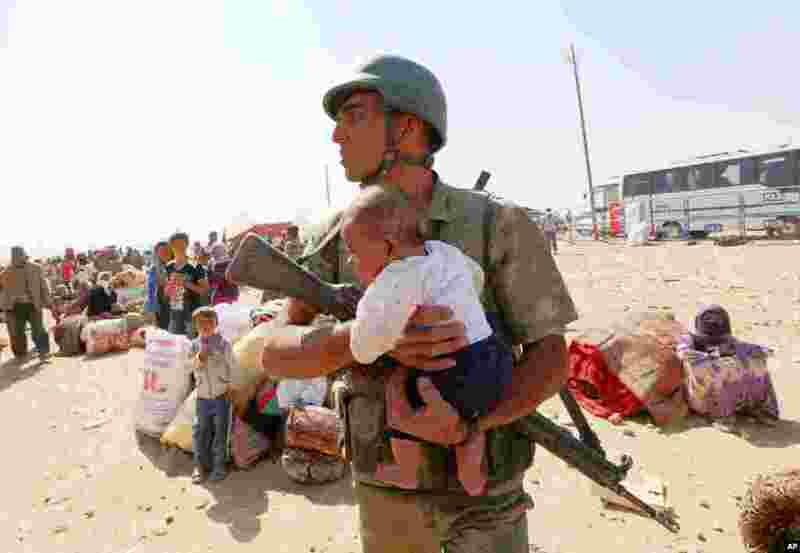 1 A Turkish soldier holds a lost baby as he looks for its mother, as thousands of new Syrian refugees from Kobani arrive at the Turkey-Syria border crossing of Yumurtalik near Suruc, Turkey, Oct. 2, 2014. 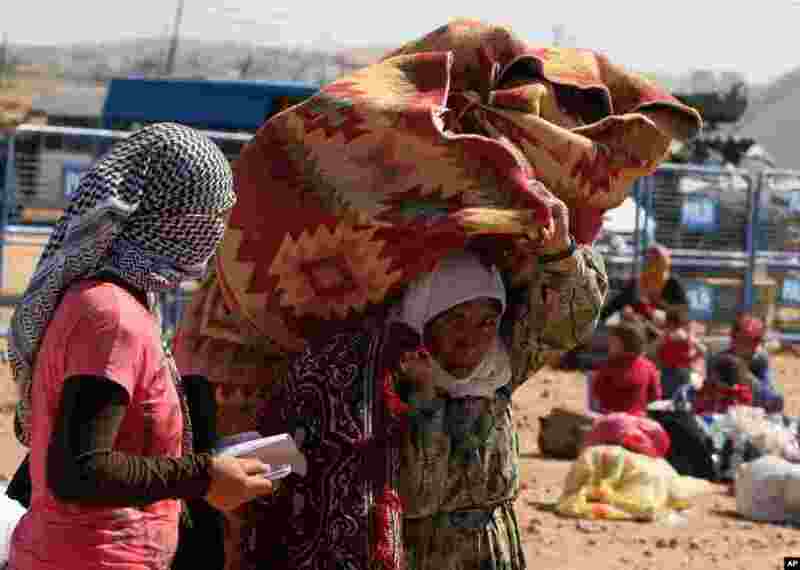 2 Syrian refugees from Kobani arrive at the Turkey-Syria border crossing of Yumurtalik near Suruc, Turkey, Oct. 1, 2014. 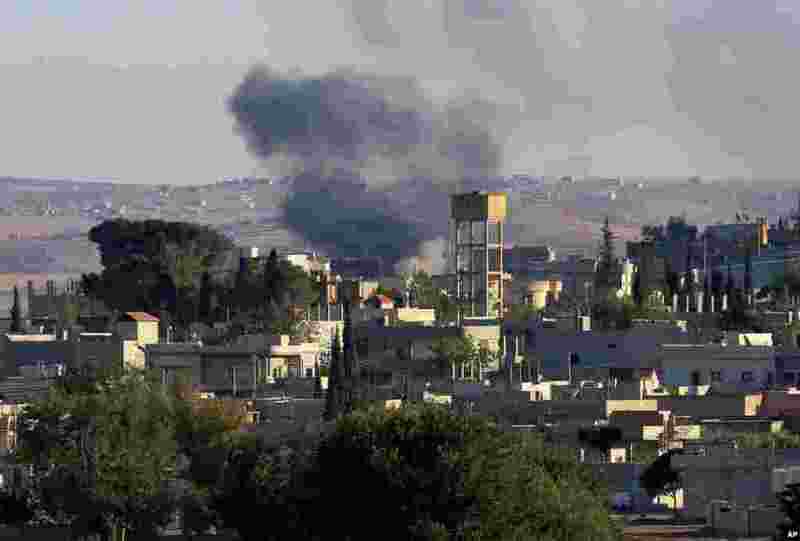 3 Smoke rises after a mortar shell landed south of Kobani, seen from the Turkish side of border as thousands of new Syrian refugees from Kobani arrive in Suruc, Turkey, Oct. 1, 2014. 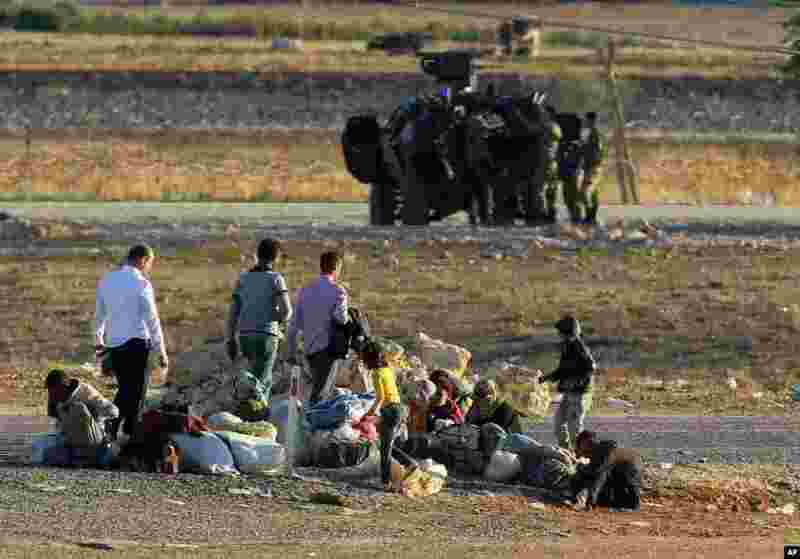 4 Syrian refugees from Kobani rest after arriving at the Turkey-Syria border crossing of Murstpinar near Suruc, Turkey, Oct. 1, 2014.